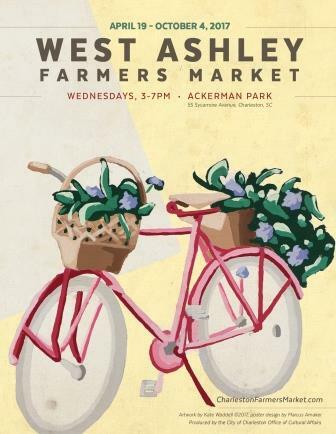 Visit https://www.facebook.com/westashleyfarmersmarket/ for more info! Extensive research and public input was gathered as part of the planning process, which was led by the Department of Planning, Preservation & Sustainability, Division of Business & Neighborhood Services. Input was collected via public surveys (over 2800 responses!) and focus groups and results identified community preferences regarding market location, schedule, character amenities, accessibility and vendor mix. THANK YOU to everyone who participated in this process. The West Ashley community truly helped shape this market.